Wizard of Oz Pendant. Tin Man. If I only had a Heart. 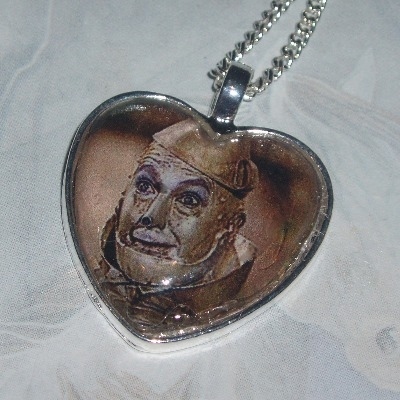 25mm handmade heart shaped glass cabochon in a silver plated setting featuring the Tin Man.